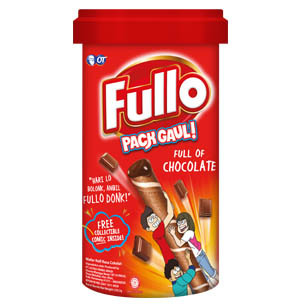 No holes in Fullo. 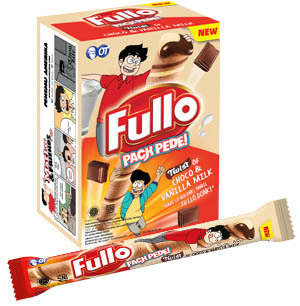 Totally Full. 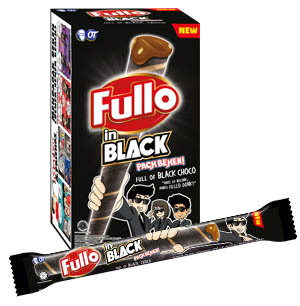 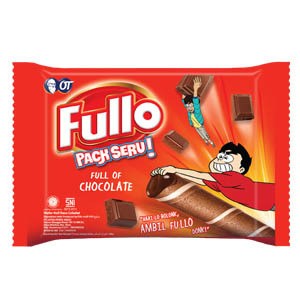 Get ready to fill up your days with fabulous Fullo, crispy wafer rolls filled to the brim with smooth cream in a choice of tastes: chocolate, vanilla-milk, chocolate-vanilla, chocolate-strawberry, and the new variant's black choco.